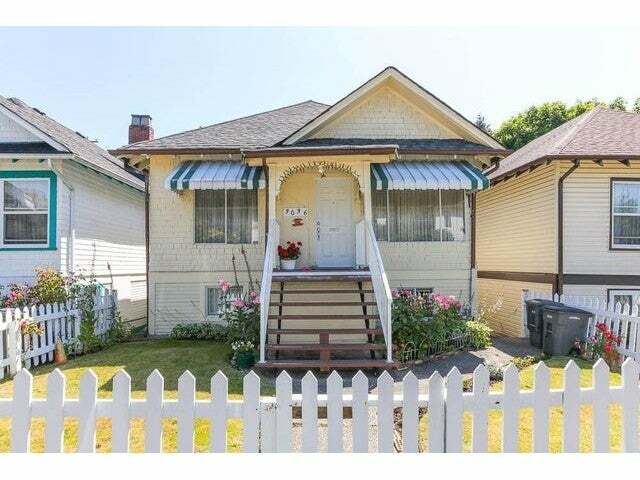 Great opportunity to purchase a 1910 Character home on a 30.5 x 86.5 RM-4 Zoned lot in Mount Pleasant! Home is in good condition with some upgrades like 10 yr old roof, laminate floors upstairs and downstairs. This home can be renovated andexpanded to maximize it's full potential. Property contains a 2 bedroom legal rental suite. Backs onto a lane with a detached garage. Possibility of assembly with development of multi-family in the future. Located on a quiet street across the street from a park, 5 minutes walk to Main St, transit, Saint Joseph's Hospital, Main St and Fraser St Restaurants and Shopping.